FREE PREVIEW of Prologue (a spooky encounter in Whanganui, New Zealand) and part of Chapter 1 (formation of the Strange Occurrences team). There's a free reader app so you don't even need to own a Kindle reader. 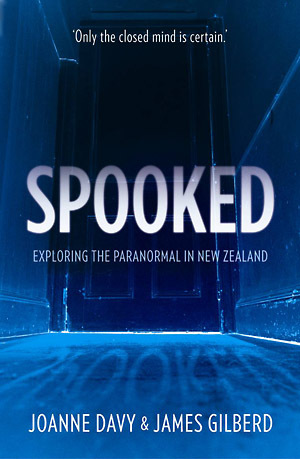 "With all this bizarre and occult information, Spooked is a smashing read if you have ever fancied yourself something of an armchair Peter Venkman. The genuine accounts of experiences of the people interviewed, as well as the team's own gut churning chronicles, are suitably spine-chilling and the myth-busting information is fresh, well written and fun."